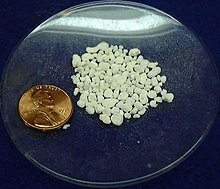 ^ Emulsion explosive composition containing expanded perlite United States Patent 4940497 <ref name="http://www.freepatentsonline.com/4940497.html"
^ a b c http://minerals.usgs.gov/minerals/pubs/commodity/perlite/mcs-2008-perli.pdf <ref name="http://minerals.usgs.gov/minerals/pubs/commodity/perlite/mcs-2008-perli.pdf"
^ "Perlite". U.S. Geological Survey Mineral Commodity Summaries,: 122–123. January 2006. <ref name="http://minerals.usgs.gov/minerals/pubs/commodity/perlite/perlimcs06.pdf"
หน้านี้แก้ไขล่าสุดเมื่อวันที่ 21 ธันวาคม 2561 เวลา 22:18 น.